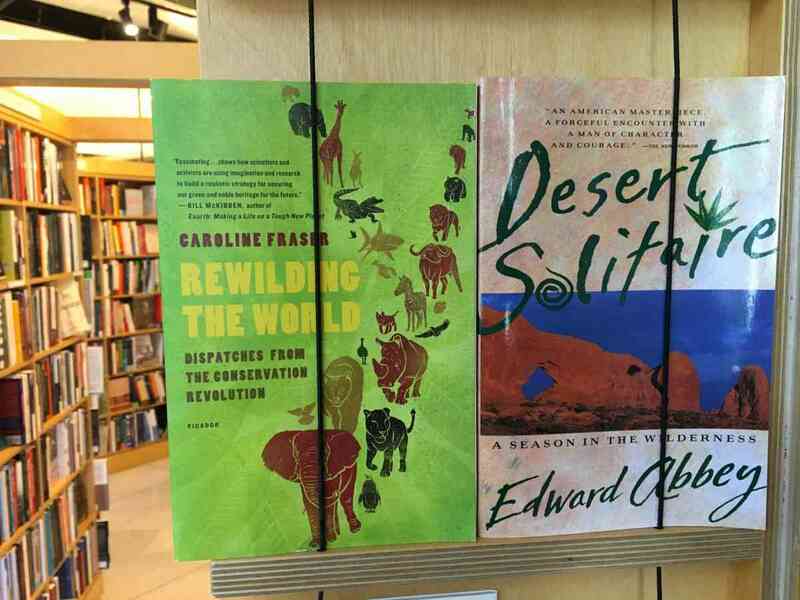 Desert Solitaire, by Edward Abbey - Abbey was the intellectual inspiration for many radical wilderness activists in the 1980s. Desert Solitaire is one of his most thoughtful works. His most famous, though, is The Monkey Wrench Gang. See also the sequel, Hayduke Lives!, in which Earth First! figures centrally. The Ecology of Freedoom, by Murray Bookchin - I include this mainly because Bookchin is an important figure who has never gotten his due. And he is one of the key theorists of eco-anarchism. Ecology of Freedom is his magnum opus; for a much easier read, see his Remaking Society. For some of his earlier thought, see Post-Scarcity Anarchism. Timber Wars, by Judi Bari - One of the only collections of Bari's writings, despite Bari's outsized influence in the radical environmental movement of the early 1990s. Bari was not only an effective organizer and activist, but a key thinker. Confessions of an Eco-Warrior, by Dave Foreman - Several of Earth First! 's central figures wrote about their activism. Foreman's is the best summary of Earth First! 's animating principles and ideas. Sacred Cows at the Public Trough, by Denzel and Nancy Ferguson - The Fergusons occasionally wrote for the Earth First! Journal, and their book reminds us of the ways in which radical environmentalists were not only concerned with far-away wilderness. The Population Bomb, by Paul Ehrlich - This is the key text for understanding neo-Malthusianism and its many deeply problematic claims. See also The Limits to Growth, by Donella Meadows, et al. How Deep is Deep Ecology?, by George Bradford - "George Bradford" was the pen name for David Watson, one of the sharpest critics of ecocentric thought, although a somewhat sympathetic one. Rewilding the World: Dispatches from the Conservation Revolution, by Caroline Fraser - Gives a sense of how conservation biology has informed conservation activism in recent years. See also Rewilding North America, by Dave Foreman. Wholly Round, by Rasa Gustaitis - Gustaitis was one of the few mainstream journalists who dove deep into radical and counterculture environmentalism in the 1960s and 1970s, interviewing and writing about people generally absent from more familiar stories. Ecodefense: A Field Guide to Monkeywrenching, by Dave Foreman and Bill Haywood - A detailed manual explaining the various covert, direct action techniques that Earth First! specialized in for most of the 1980s. About The Ecocentrists: Disenchanted with the mainstream environmental movement, a new, more radical kind of environmental activist emerged in the 1980s. Radical environmentalists used direct action, from blockades and tree-sits to industrial sabotage, to save a wild nature that they believed to be in a state of crisis. Questioning the premises of liberal humanism, they subscribed to an ecocentric philosophy that attributed as much value to nature as to people. Although critics dismissed them as marginal, radicals posed a vital question that mainstream groups too often ignored: Is environmentalism a matter of common sense or a fundamental critique of the modern world? Hailed by The New York Times as "a passionately felt, deeply poetic book," the moving autobiographical work of Edward Abbey, considered the Thoreau of the American West, and his passion for the southwestern wilderness.